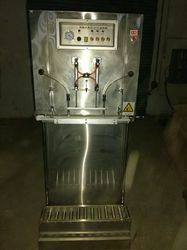 Being one of the reputed organizations in the market, we are engaged in offering an exclusive range of Double Chamber Vacuum Packaging Machine. This packaging machine is highly appreciated by the customers for its optimum quality, dimensional accuracy, durability and many other characteristics. 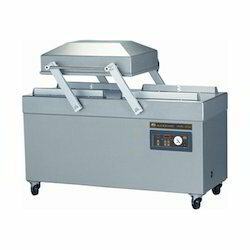 Offered packaging machine is available in various specifications to meet the needs of the customers. 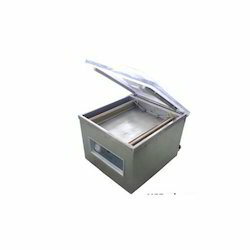 Strict quality examination system insured the heat of vacuum packaging machine run smoothly. Machine Lid Gemel: Special designed gemel device of machine lid which could reduce the working intensity dramatically in daily working life. "V" type lid gasket: The "V" type lid gasket is made from high density material which prolong the using life and wearable in the daily usage, it's also reduced the replacement time and production cost. Heavy moving wheel (with brake): The heavy moving wheel with high bearing capability, which makes customer moving easily. Amidst our wide range of products, we are also engaged in offering premium quality Single Chamber Vacuum Packaging Machine. Offered packaging machine is featured with the heavy moving wheel with high bearing capability, which makes customer moving easily. The offered packaging machine is developed by superior grade material and leading technology in adherence with the norms of industry. As well, our offered packaging machine can be availed at market leading rates within a given time frame. 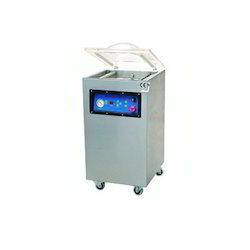 With genuine intentions to stand high on all the demands of our clients, we are betrothed in offeringTable Top Vacuum Packing Machine.